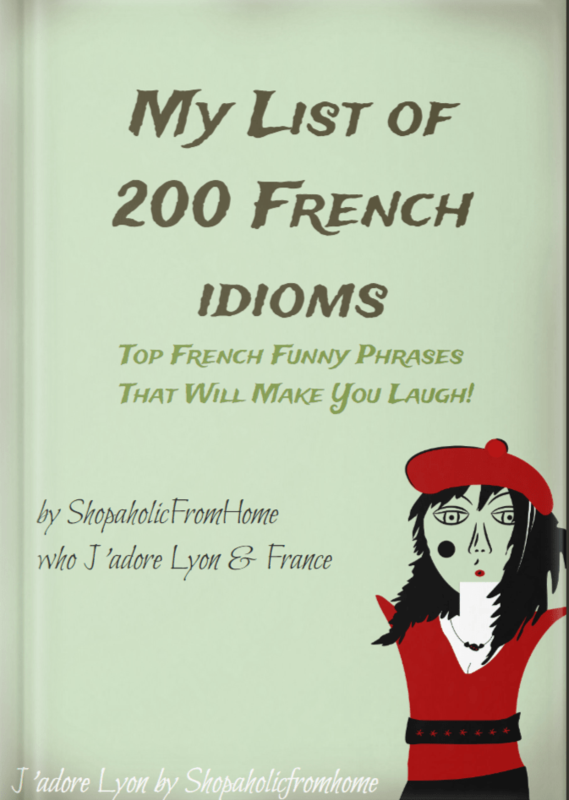 Get My List of 200 French Idioms for Free! I bet you will laugh at least 199 times! My Little List of 30 French Funny Phrases which has been cheering me up for some time, seems not effective anymore. Well, I got used to the French Funny Idioms and got bored of them. So, being a girl, who never wants to stay miserable and sad, I decided to use the previous technique to lift up my moods and I mixed ‘the beautiful with the useful’…I mean I mixed learning something new (‘the useful’) and laughing a lot (‘the beautiful’) and so I decided to expand my List of 30 French Funny Phrases. I got so motivated and found more and collected 200 French Idioms which i liked! I created the colorful list here & printed it out and I am keeping it close to me! Get it for free, read, print, share with others. I hope it will make you happier! Sucrer les fraises (sweet strawberries): ‘go dotty’, become somewhat eccentric, odd, or mentally unbalanced. Ready for the whole list? 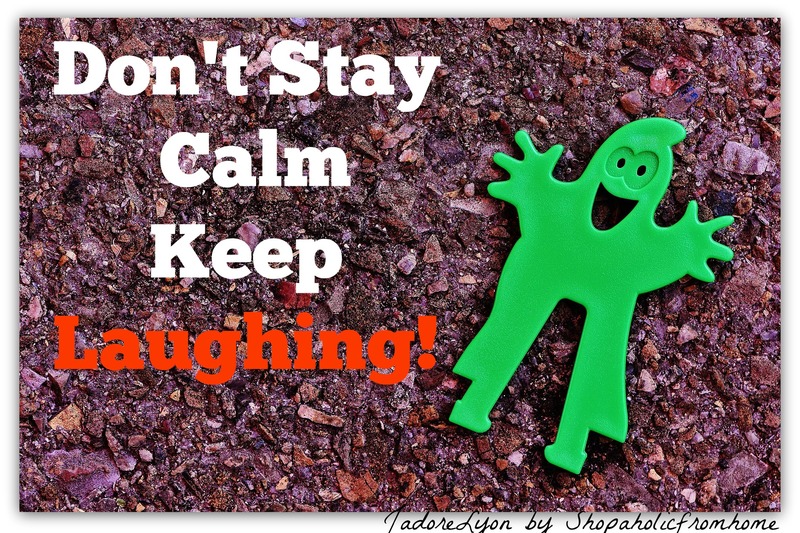 Just have a look My List of 200 French Idioms here and you will find My List of 200 French Idioms.Let me know how many times did you laugh while reading it? Was it 199 at least? Well, I hope so as I am being ambitious here. Also, can you tell me if you have known any of those phrases? Maybe you know any other? 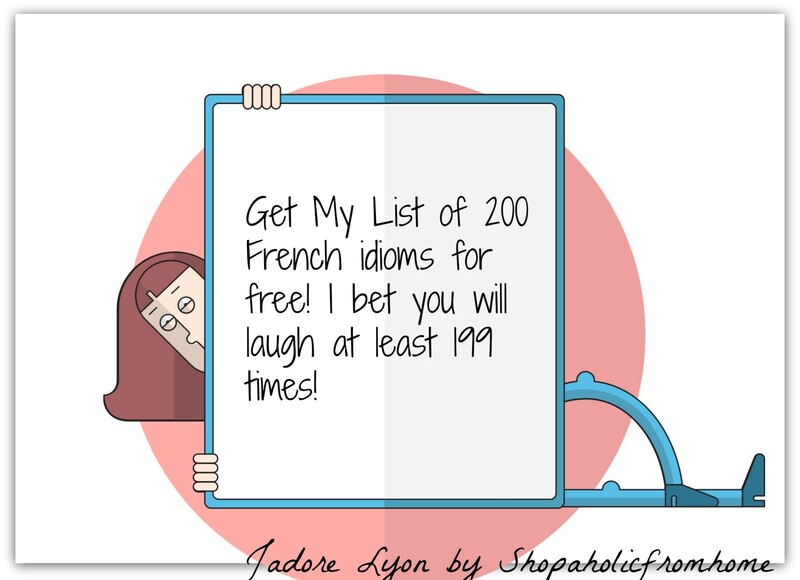 Please do help me to expand the list…Let’s make a challenge to get to the 300 French Funny Idioms which will cheer us all up! 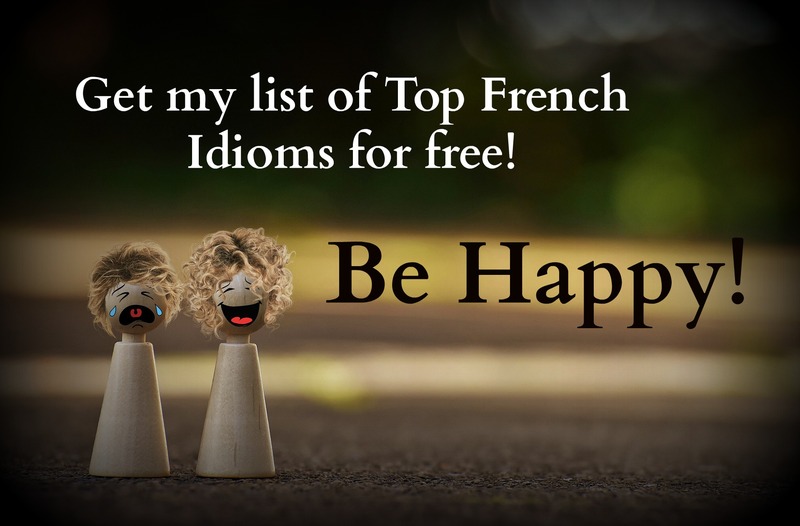 Please send me a message, email or simply leave a comment with some other French Idioms. Thanks a lot!